Some of the most challenging off-road bicycling trails in Florida can be found at Alafia River State Park. Located on what was once a phosphate mining site, the unique topography of the reclaimed land offers some of Florida's most radical elevation changes. Alafia State Park is home to 17 miles of bike trails, ranging from beginner to advanced. 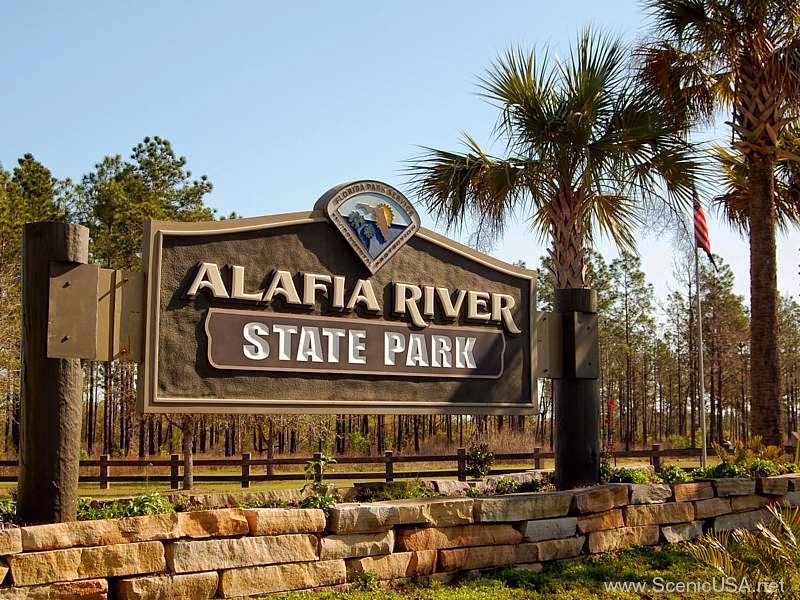 Alafia also offers equestrians and hikers the opportunity to explore mixed hardwood forests, pine flatwoods and rolling hills with 20 miles of hiking and horse trails. The abundance of wildlife found along Alafia's trails will delight any bird-watcher or nature enthusiast. 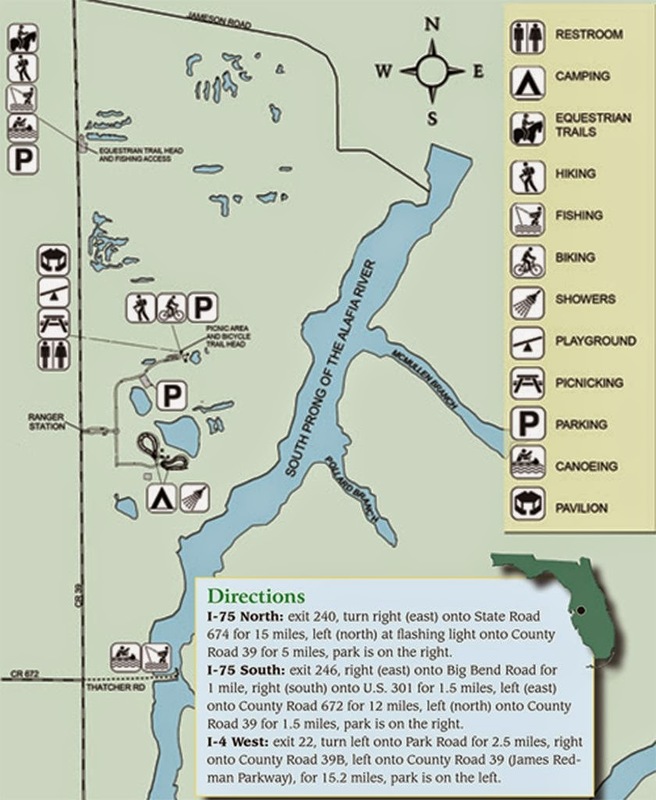 The south prong of the Alafia River and the lakes scattered throughout the park provide ample opportunities for canoeing and fishing. The 6,260 acre park also offers picnic pavilions, a playground, horseshoe pit and volleyball court. For overnight stays the park has a full-facility campground, as well as equestrian friendly campsites. Located approximately 45 minutes southeast of Tampa, Florida, this state park is a great spot to spend some time, especially for the equestrian, hiking, and mountain biking crowds. 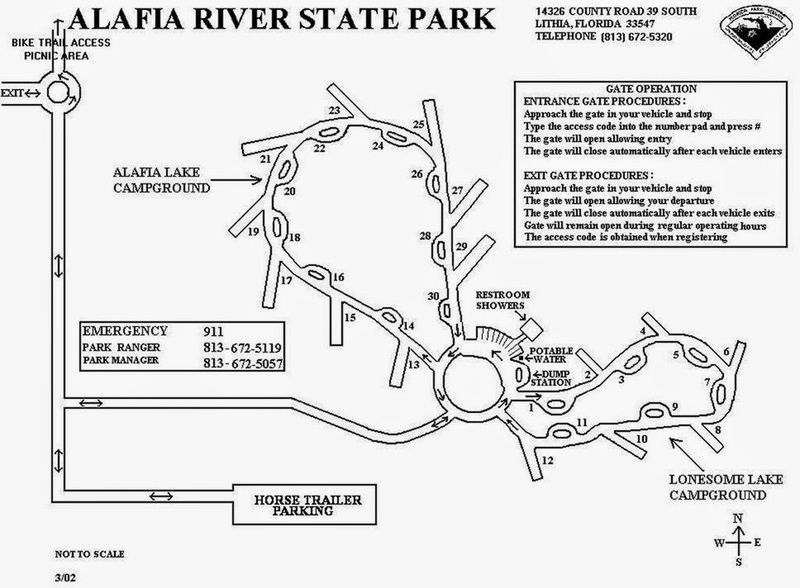 Sporting some of the best mountain bike and horse trails in the area, Alafia River pulls out all the stops when it comes to staying and playing. Even though it's a state park, the amount of activities, including hiking, biking, camping, equestrian riding, camping and picnic facilities (and many other things), it makes for a great stay. Located about 45 minutes south of Tampa, FL, this spot also puts you in good range of metropolitan areas (if that's what you're looking for) but not so close that you feels its effects! For the camper, most of the sites are pull through making it easy in and out. 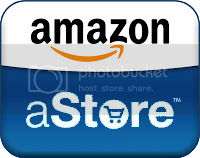 In addition, all the sites are in separate loops so getting around is very easy. The bathrooms and shower facilities were both clean and updated. Sites included electric and water, but not sewer. A requisite free dump station is available near the shower facility and is easy in and out. One thing to note is that very few of the sites offer shade. If this isn't an issue for you, you'll be fine. If you've been in the Florida sun, you may want to save this place for the cooler seasons - especially if the trademark Sunshine State humidity doesn't agree with you. 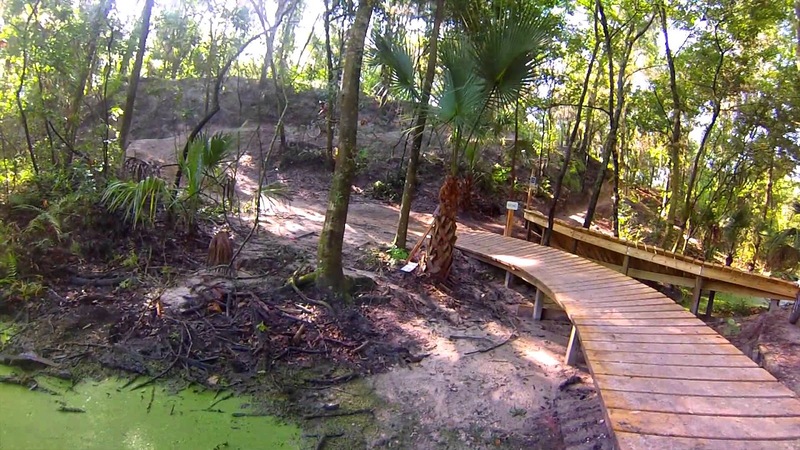 For the Florida mountain biker, this is one of the best options the state has to offer. Rumor has it that Tampa, FL was going to host the 1996 Summer Olympics which was to feature mountain biking as a new event. In preparation for this, an old quarry now where a large portion of the park lies, were a dizzying array of mountain biking trails ranging from flat and mild to the super-technical double black diamond runs! For Florida, the amount of terrain and elevation change is very impressive. If you have a smartphone, the Strava app here works great on the trails - it even knows what trails you're riding and shows your speed, time, and pace compared to other riders that have ridden the same trails - talk about motivation! Even if you are riding solo, it allows you to challenge yourself. The only other place in Florida offering this caliber of mountain biking is Santos in Ocala, FL. I've ridden both and prefer Alafia River. Try both and let us know your thoughts! If you're not into biking or horseback riding, a majority of the trails are also hiking trails for use. Bikers are required to always yield to horseback riders as well as hikers, so you don't have to be concerned about getting run over by a biker! With 20 miles of hiking trails, you should not run out of things to do and see while you stay. Various forms of bird and other types of wildlife can be seen (and identified) any time of year, but is usually better in the winter/spring time. I have read your post. It is remarkable blog. I wanted to learn such type of the things that I have got from here at one platform. Thanks. This is one of the most best trails in Florida. It has lots of tree cover and has trails for everyone. Some are "challenging". It cracks me up when some wannabe reviews a trail based on the toughest trails in his region. Every want need a mountain bike because it is very useful and important things. Thanks for the information, i will go there as soon as i am able to ! This is great post. Very informative review. Especially the infographic is nice. Eric's Story: The American Dream? Get rid of Mosquitoes and other biting bugs! Guinness - A tribute to "Squishy"